CUT produce a variety of micro- and ultra-filtration membranes and modules at their Erkrath facility near Düsseldorf. We especially focus on customized and optimized process engineering solutions that will meet your specific requirements. 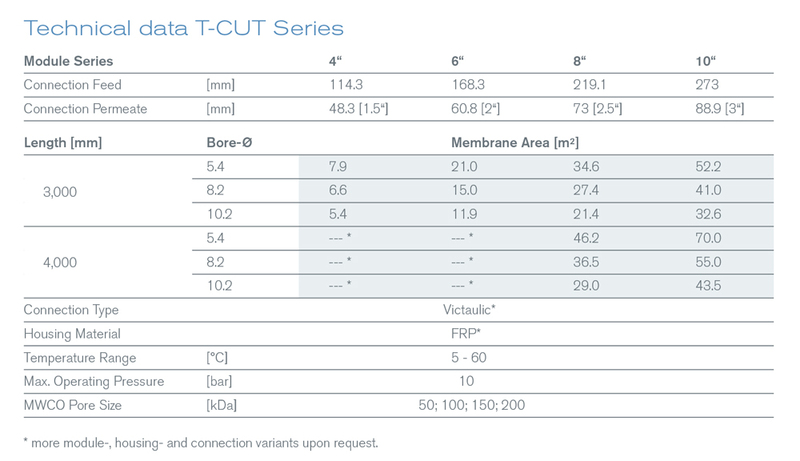 CUT Membrane Technology is able to provide different cut-offs with their range of robust T-CUT tubular modules. The membranes are applied on high-quality support material and are particularly distinguished by their durable and long-lasting service lives. T-CUT tubular modules can also be used in applications with extreme requirements thanks to the high stability of the membranes and the possibility of chemical cleaning. Our FRP range of T-CUT tubular modules has successfully proven itself for many years throughout the world as the “standard product” of choice for separating / concentrating biomass in landfill leachate applications. CUT Membrane Technology’s Core concept enables significant reductions in membrane replacement costs to be made. 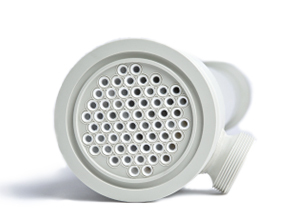 A robust stainless steel pressure housing is combined with our interchangeable T-CUT Core membrane filtration elements when it is initially equipped. 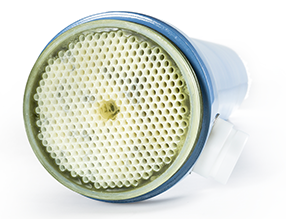 If a membrane replacement becomes due after several years, then the housing remains in the filtration system for further use and only the membrane CORE is actually replaced. Changing a membrane is a user-friendly process and it can be implemented with little effort in practice. The Core concept combines the advantages of our tried and tested range of T-CUT UF tubular modules regarding stability and reliability with tangible economic and ecological benefits. The open flow cross sections are particularly suitable for filtering media with a very high solid content. 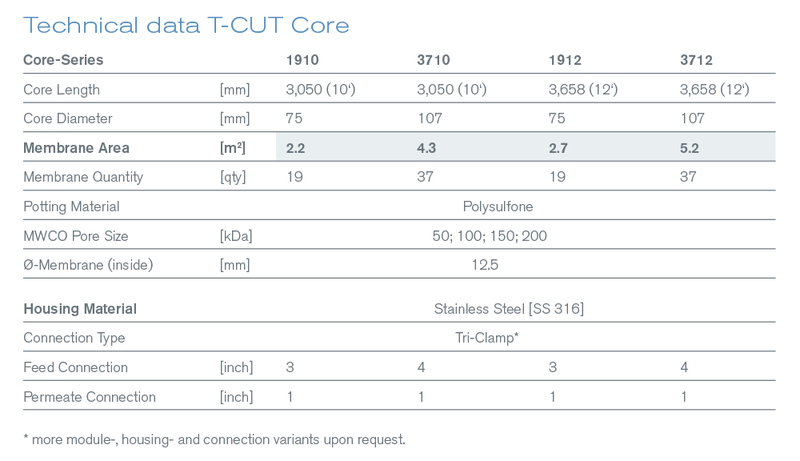 CUT provides their high-quality and extremely robust T-CUT PP range for microfiltration which has been especially designed for filtering abrasive media and applications under extreme conditions. 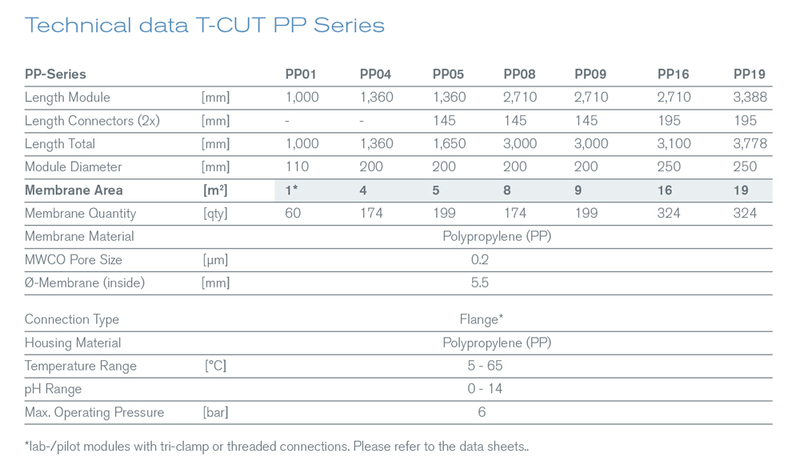 Extremely acidic or basic media in the 0 – 14 pH range cause no problems to our T-CUT PP modules, which makes them predestined for use in the chemical industry or in metal production and processing. 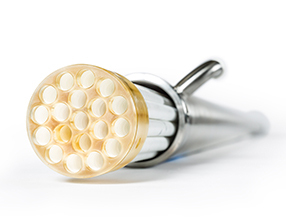 The T-CUT PP tubular modules are made exclusively from a single material (polypropylene) without using additionalpotting resins, which enables very durable and long-lasting service lives to be realized together with extremely robust mechanical stability. The symmetrically structured PP membranes are especially convincing where conventional compound membranes fail.